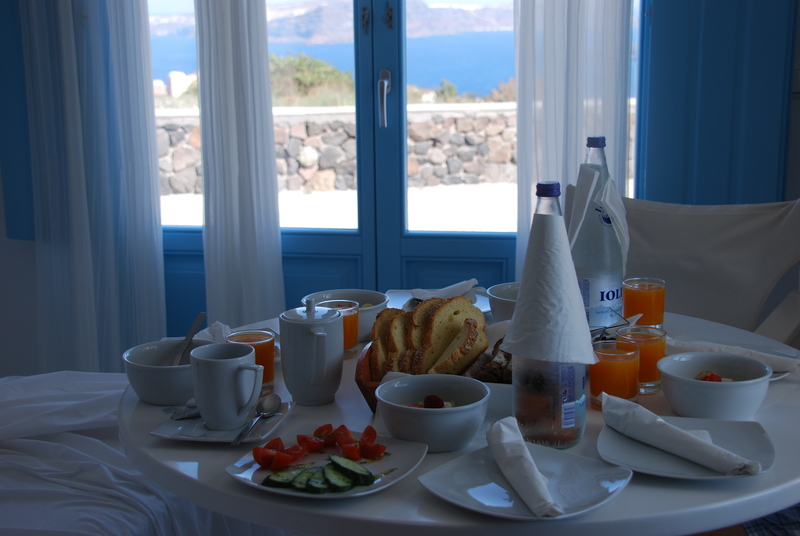 Greece is such a beautiful country and the food is absolutely delicious! 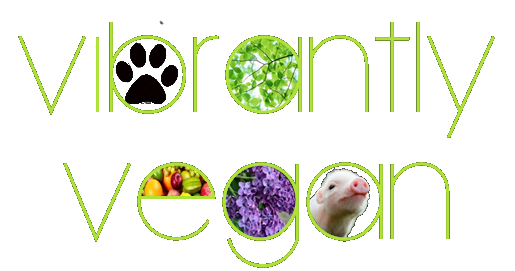 It was very easy to eat vegan for the week there. We ate greek salads minus the feta, stuffed grape leaves, stuffed tomatoes, and lots of goodies we purchased at Bamboo Vegan, a wonderful vegan shop in Athens. 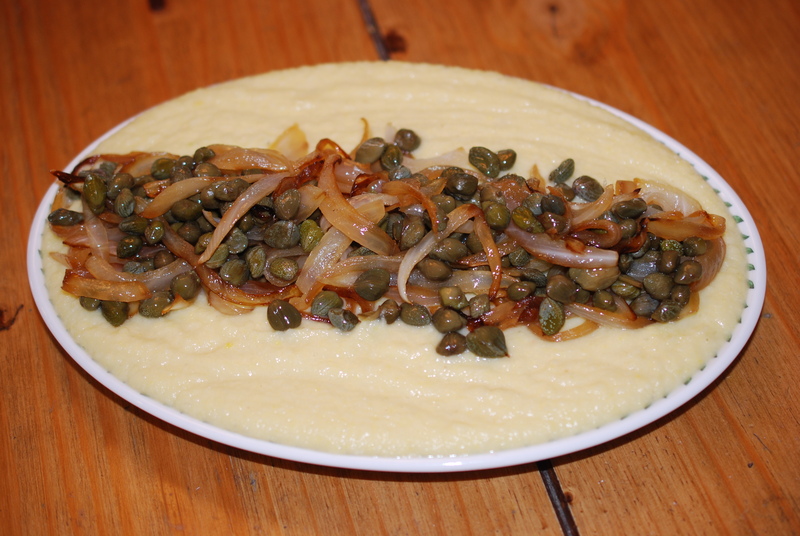 Our favorite culinary find in Greece was fava. 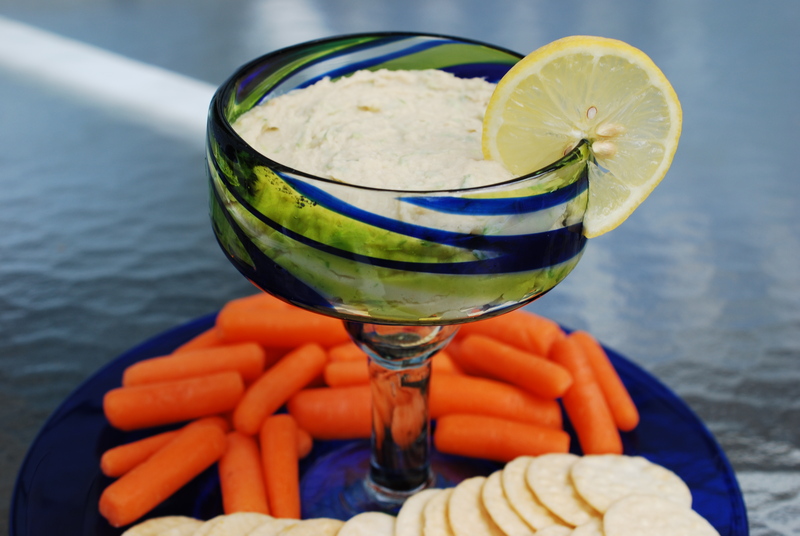 Fava is a savory dip that rivals hummus for my affections! It is not, as we first thought, made from fava beans, but is actually made from yellow split peas. Like hummus, it is extremely flavorful and creamy, yet unlike hummus, it is best served warm or at room temperature. 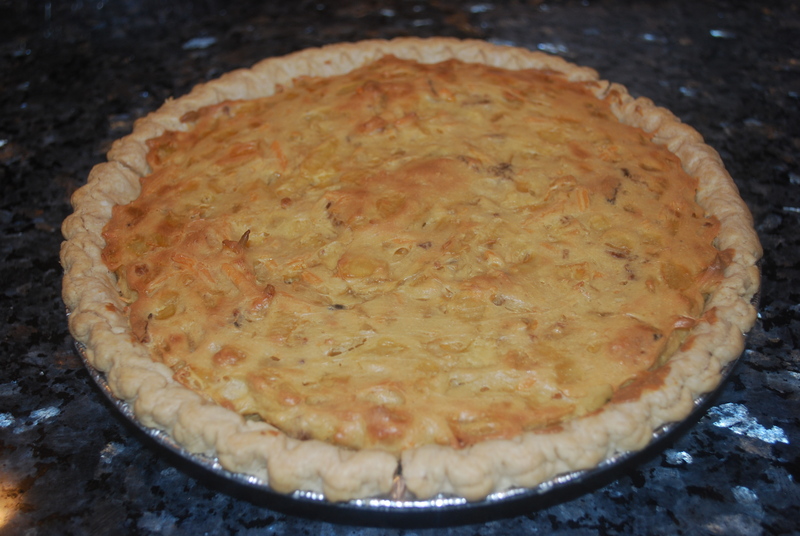 My whole family loved it, which is why I asked for the recipe everywhere we went. Our favorite fava was made as part of a wonderful vegan meal, cooked just for us, at Kalestesia Suites on the magnificent island of Santorini. 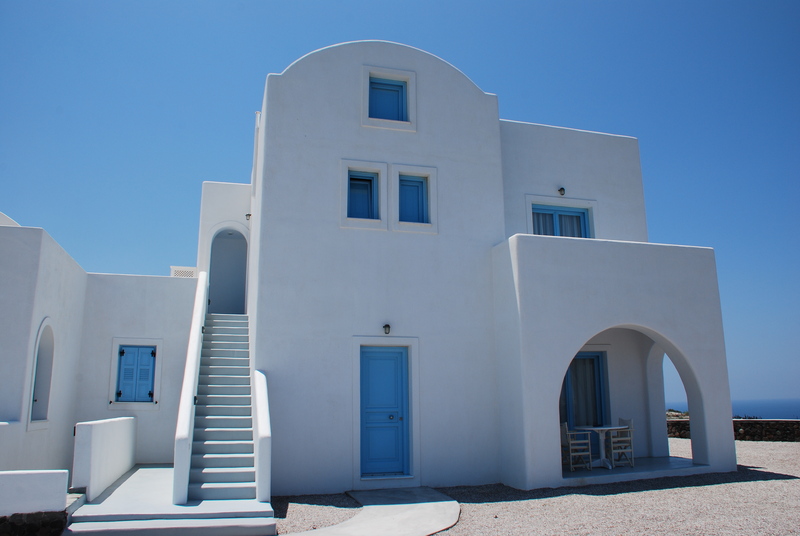 We owe many thanks to their chef, Victoria, and maitre d, Yiannis, who took incredible care of us. We had a fantastic dinner in the cozy basement wine cellar. 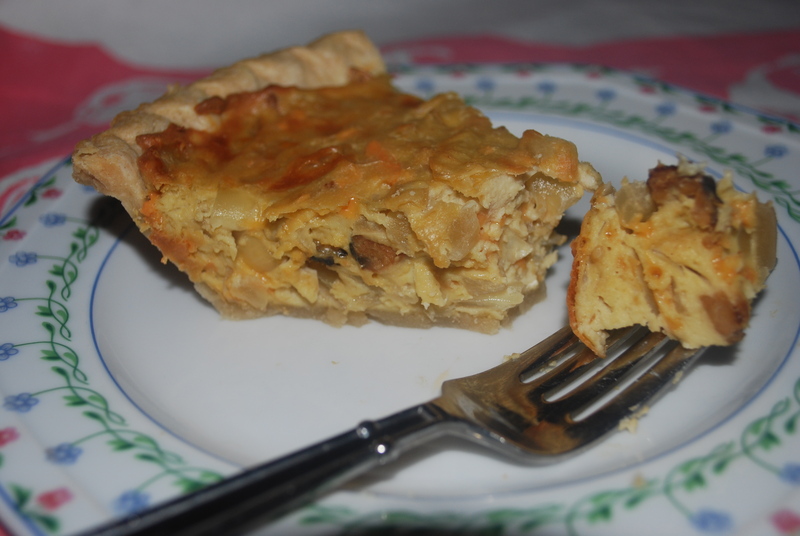 Here is their recipe, which although the ingredients are correct, may have a few slight adjustments since I was unable to read the exact measurements on the handwritten recipe they so kindly gave to me. Bring water, peas and onion to a boil in a large pot. Lower heat a bit to keep at a slow boil for 20 minutes, then reduce heat to low and simmer an hour longer, stirring occasionally. Drain, but reserve 1/4 cup liquid. Return to pot. Add olive oil and cook a few minutes over low heat, stirring. 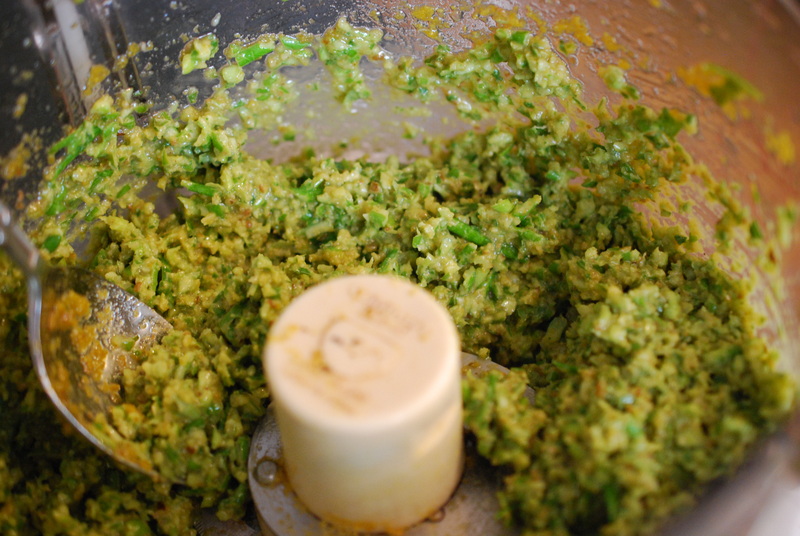 Add salt, pepper and lemon and either puree with an immersion blender or pour into a food processor or blender to puree. Add reserved liquid, 1 T at a time, if the fava is too thick. It should be the consistency of a thin hummus. 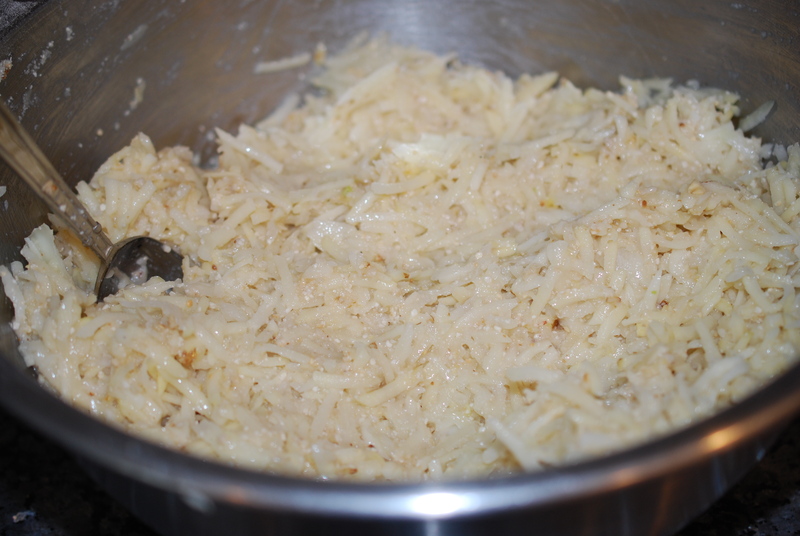 For the topping, heat the oil in a saute pan over medium high heat. Add the onions and cook until translucent. 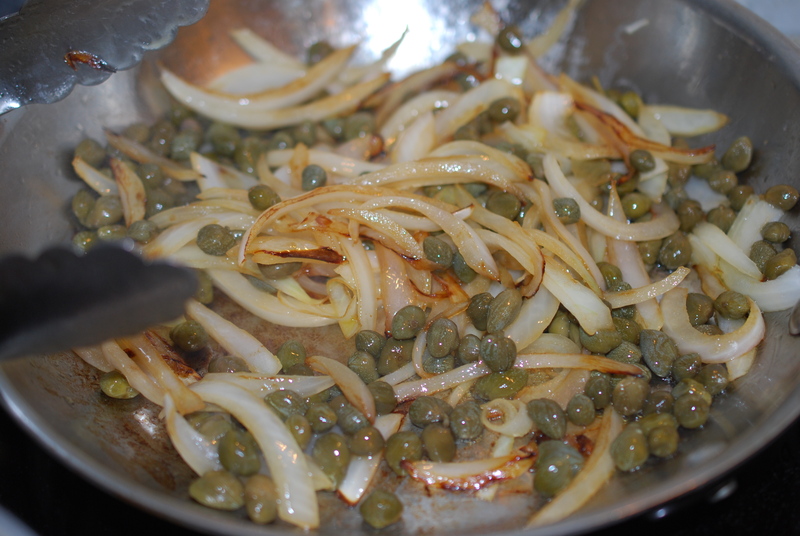 Add the capers and heat through. Spoon over the fava dip. 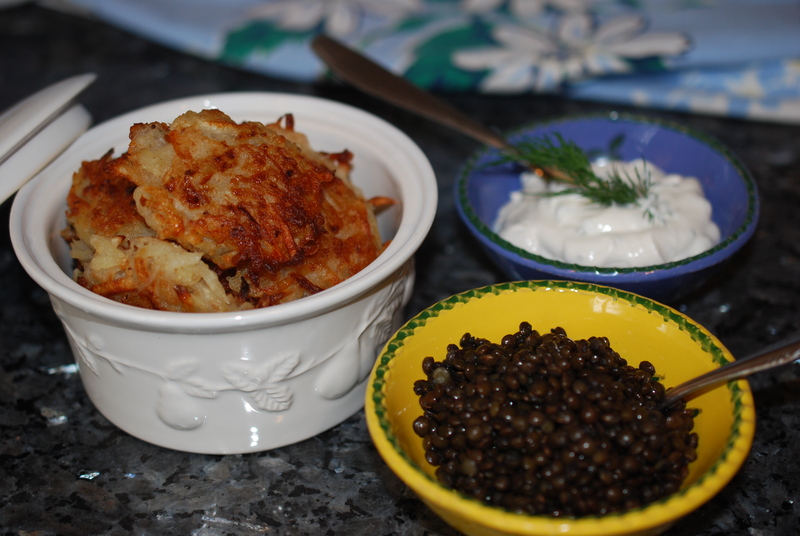 Enjoy with pita bread, crudite, crackers, or on its own. 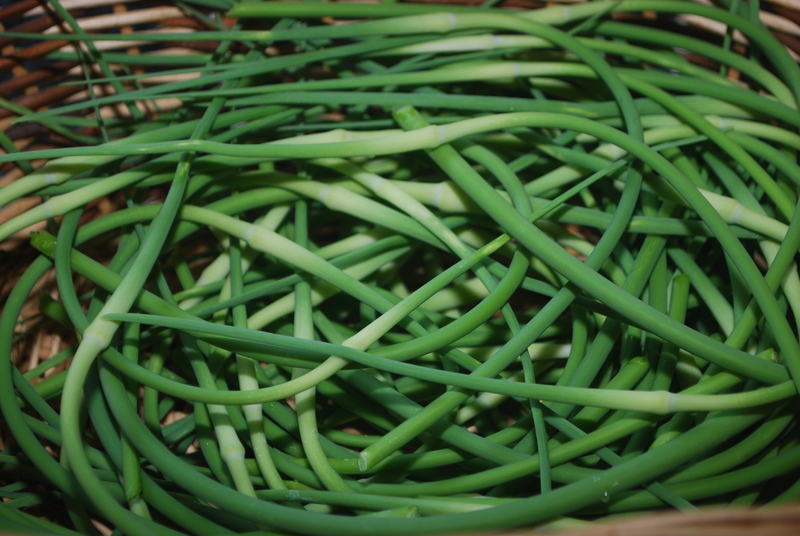 Scapes Scapes Scapes – I love scapes! I think it is my favorite thing to grow because you get two wonderful harvests from one planting. 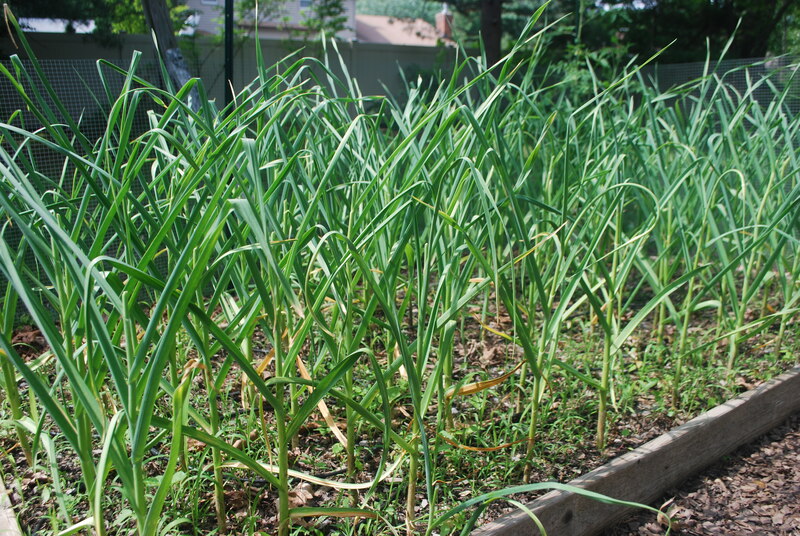 The scapes come first and then soon after, the garlic itself. 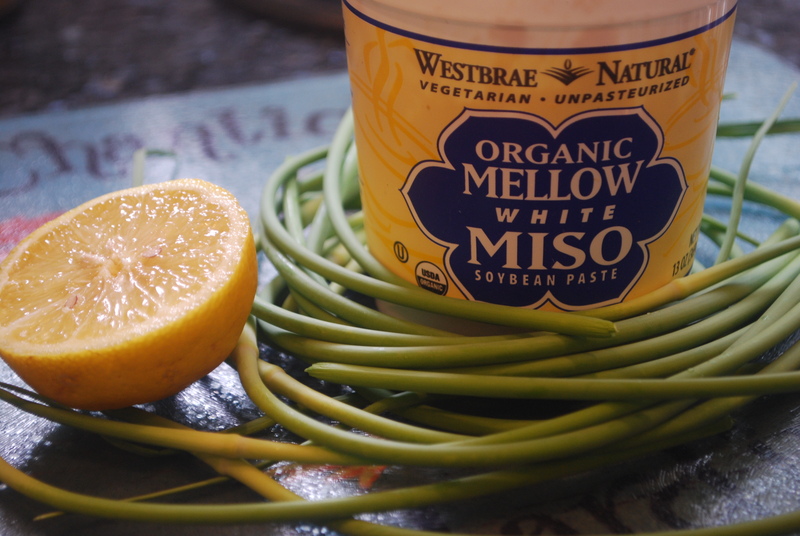 Garlic scapes are so delicious, and a bit milder than the garlic. They are becoming quite popular and are easily found at farmers’ markets this time of year in the New York area. I am always amazed by how beautiful they are and always have to eat a few raw, right off the plant. Every year I have so many scapes and still wish I had more because I love cooking with them. This year I made my favorite scape pesto first. 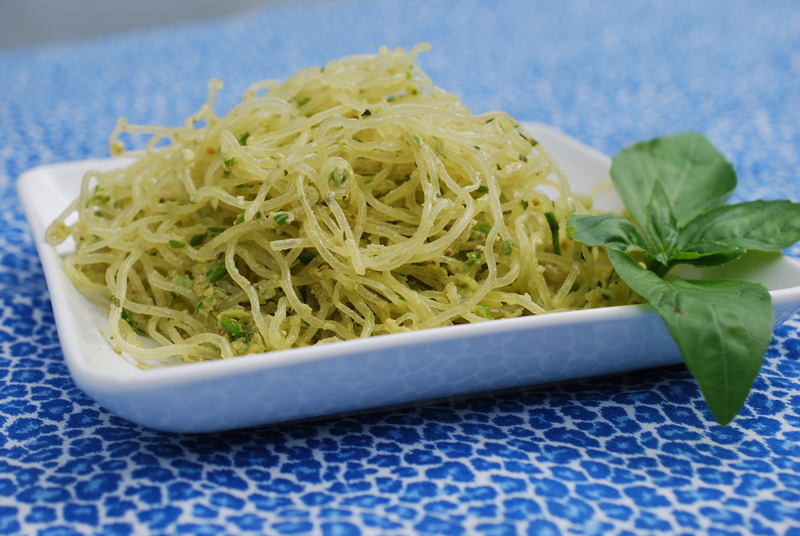 I have basil growing all summer and make pesto quite often, but this first pesto of the year, made with scapes, is always my favorite because it is the tastiest. The subtlety of the scapes is exquisite. 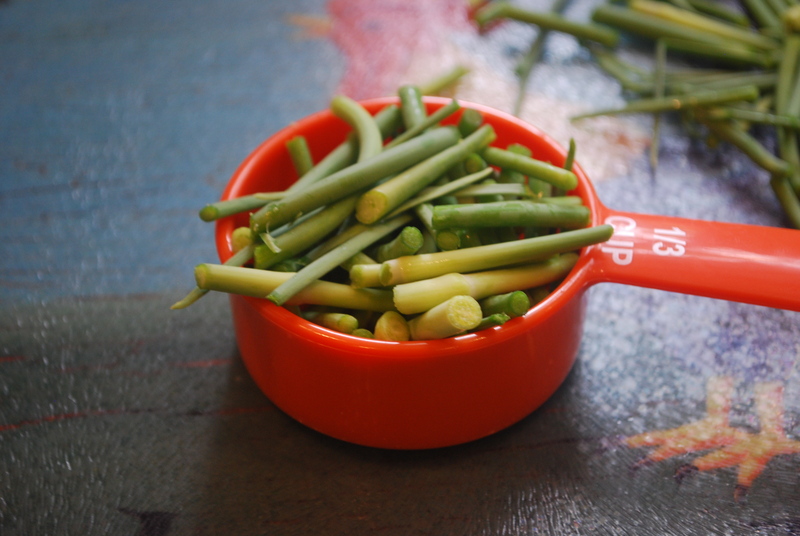 If you do not have scapes, feel free to substitute scallions, but look for scapes in the future because they are amazing! 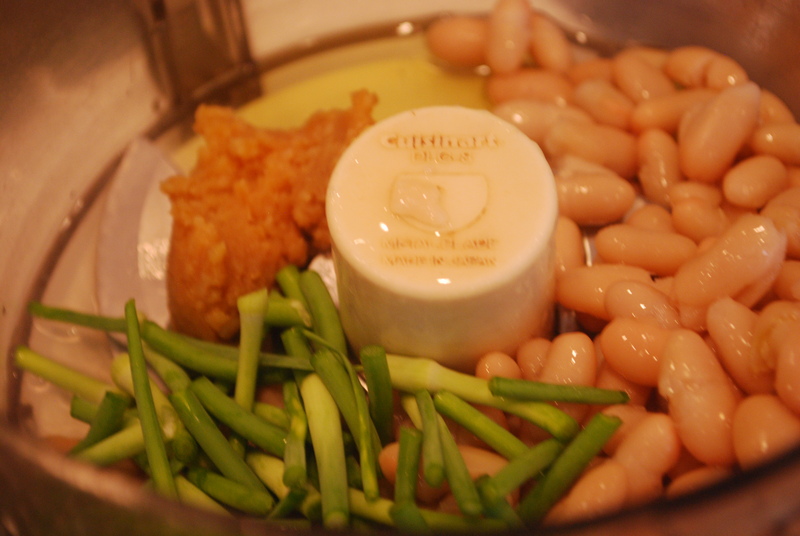 I also usually make a scape hummus, but this year I decided to switch it up a bit and make a dip with cannellini beans. 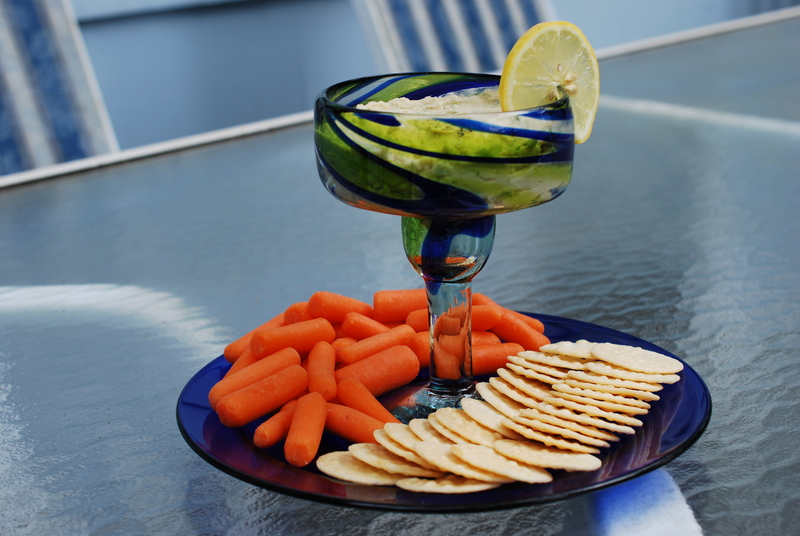 The bean dip is more original and definitely has more depth of flavor. I am convinced you can’t go wrong with garlic scapes. After a day of cooking with them, though, I am now excitedly awaiting the garlic itself! 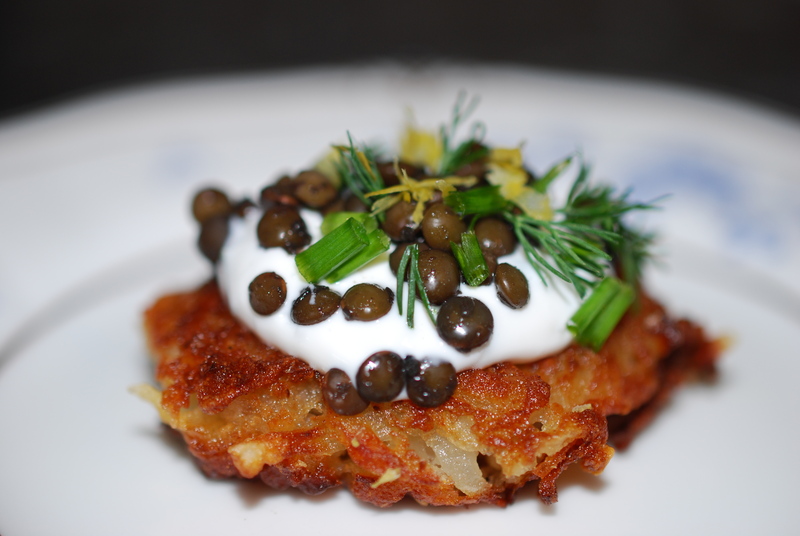 Great garlicky recipes soon! Place all ingredients in food processor and process until well combined. Serve over your favorite pasta. 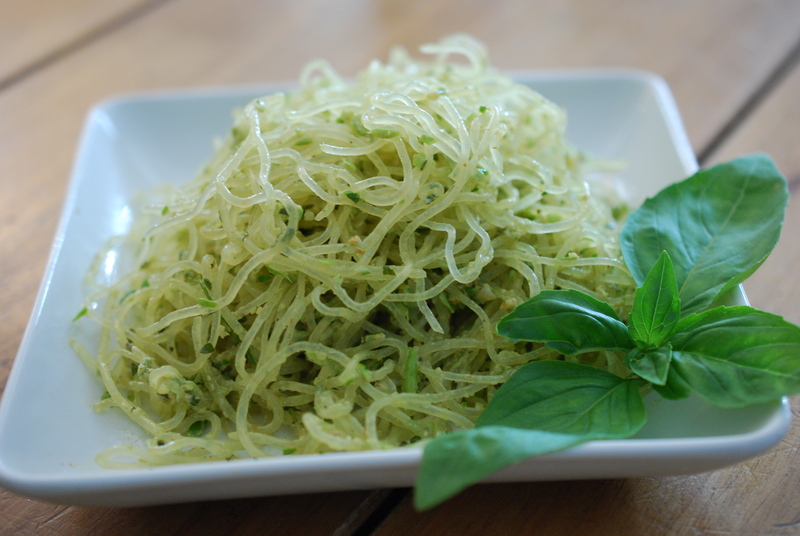 I love it on kelp noodles! 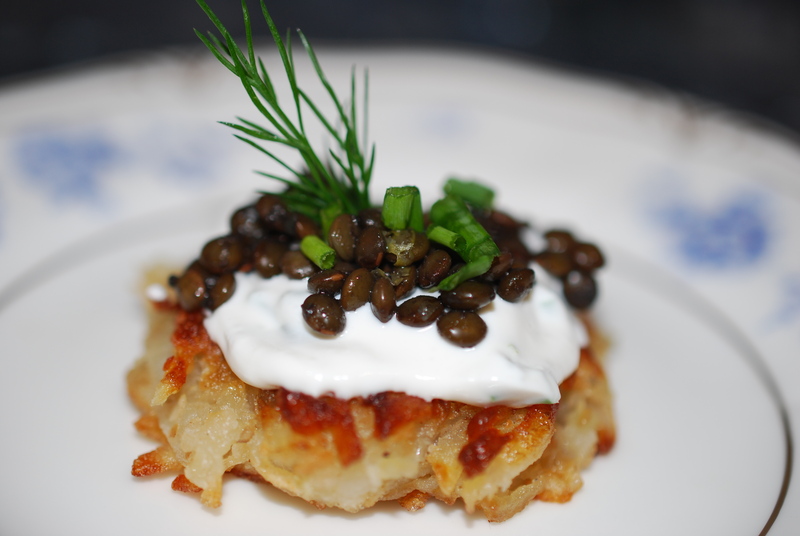 I recently came across black lentils for the first time and knew I had to come up with a really special way to use them. What I created far exceeded my expectations! 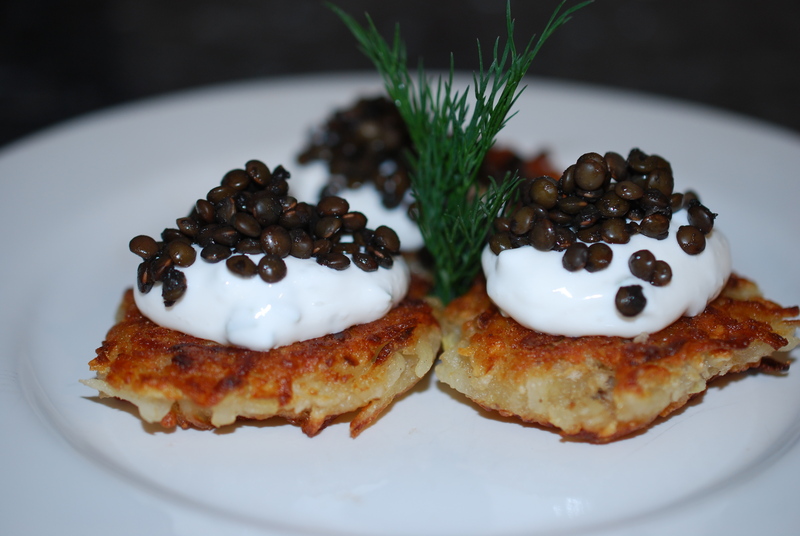 The potato cakes are so crispy and delicious and the lentils, while they obviously don’t have the squishy texture of caviar (which I never really cared for anyway), they do have a seafood taste. 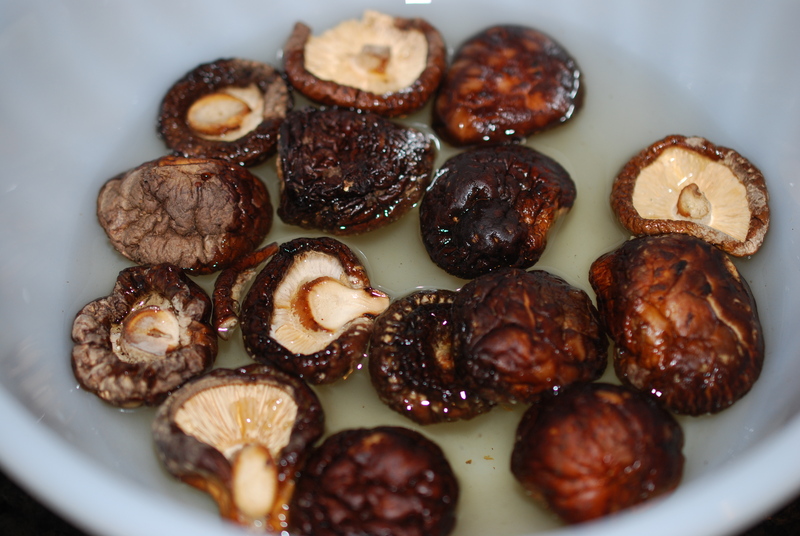 By cooking them in kombu and shitake broth, the fish flavor is subtle, yet perfect. 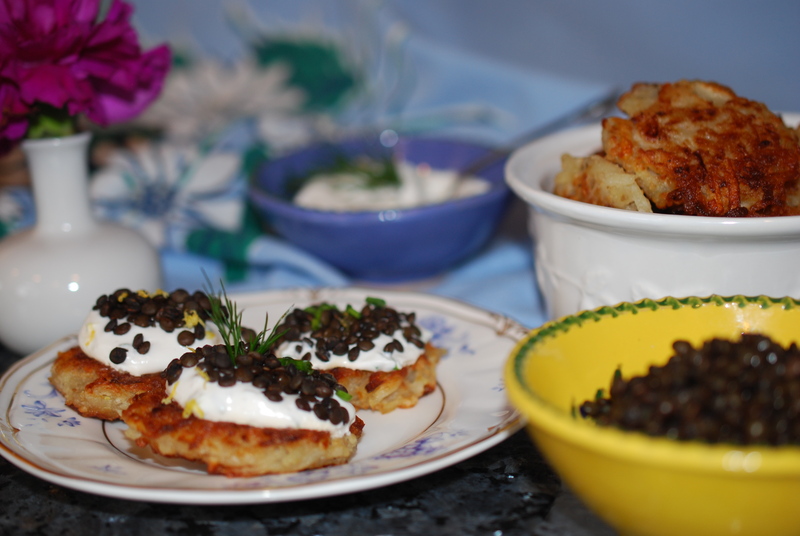 This recipe makes a very large amount of both the caviar and the potato cakes, so please reduce it unless you are making it for a party as I was. And just so you know – they will disappear very, very fast, so you might want to make more than you think you need! 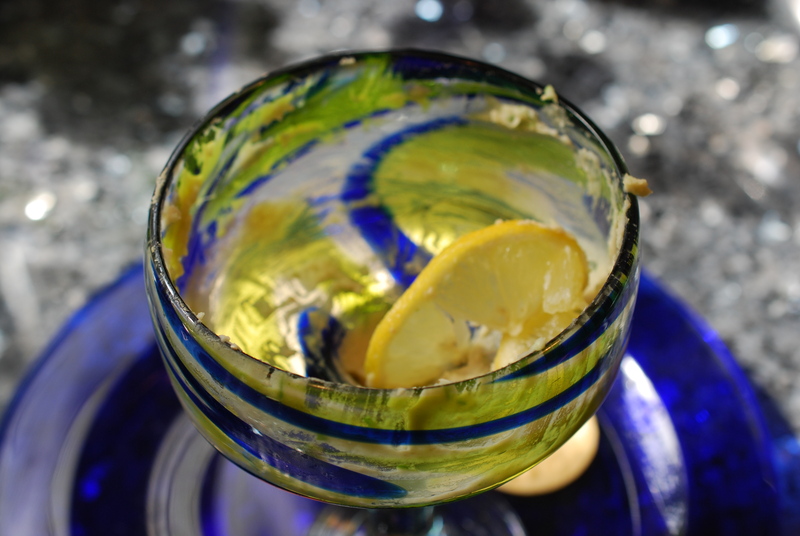 I used fresh dill, chives and lemon zest to garnish them, but I bet they would also be wonderful with fresh cilantro, rosemary, orange zest, fried sage leaves, or whatever you have on hand. 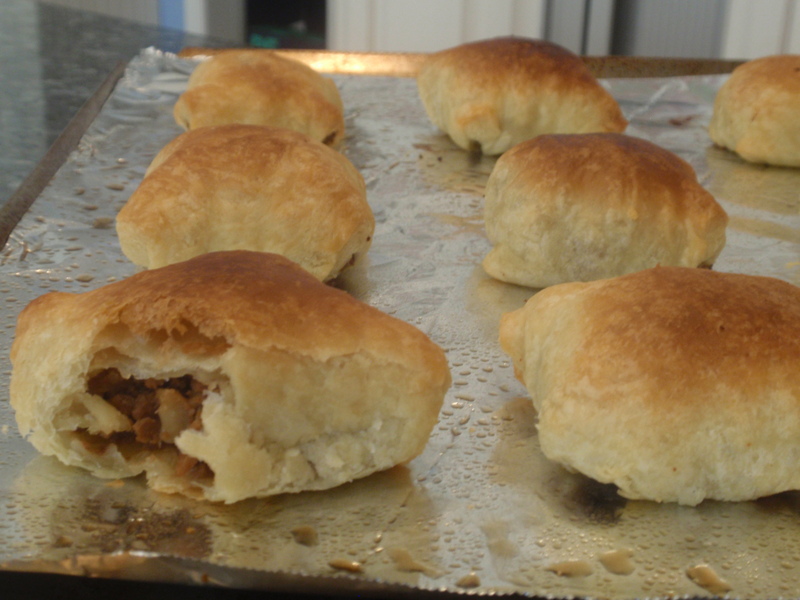 They are just so darn good they will always taste great! 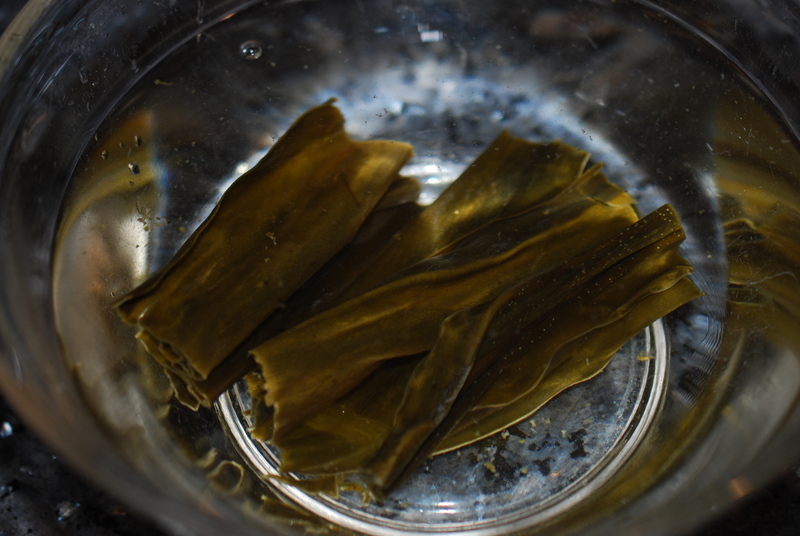 Separately soak the shitakes in 2 c warm water and the kombu in 4 c warm water, for 30 minutes. 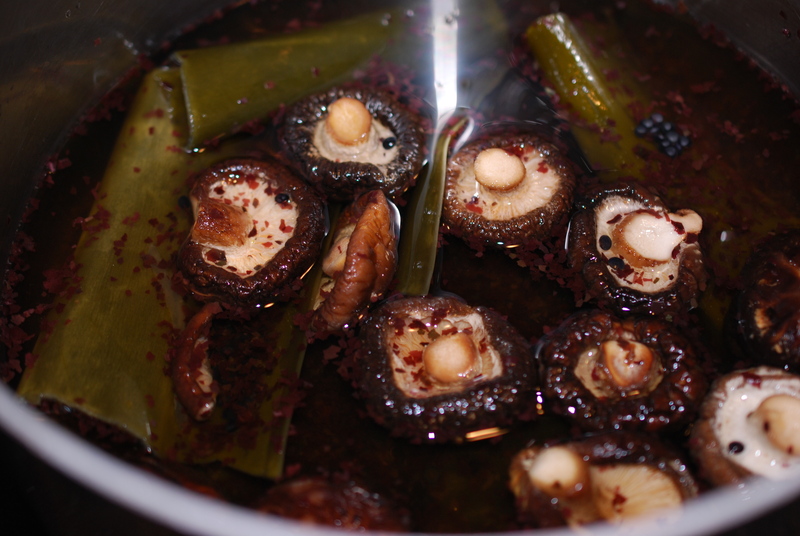 In a medium saucepan, place the lentils, salt, dulse, and the shitakes and kombu, with 2 cups of the soaking liquid from each. Bring to a gentle boil, then turn heat to low, and with lid open a little bit, simmer for 25 minutes, or until tender. 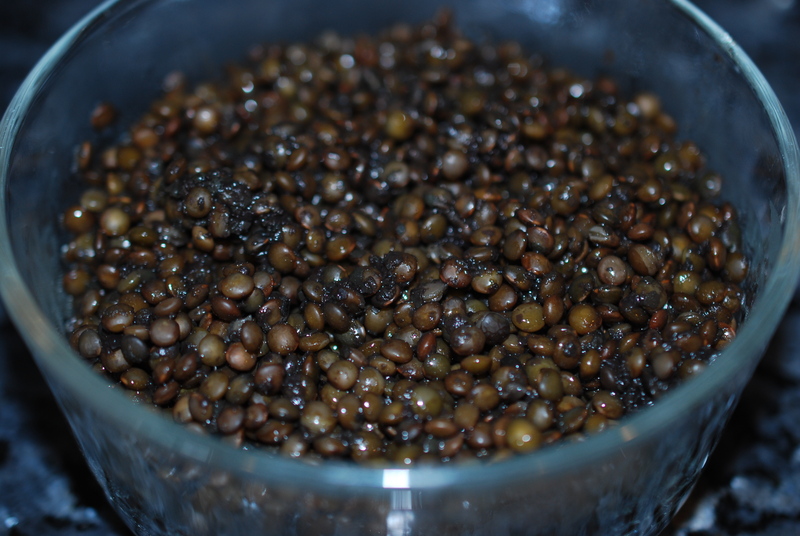 Remove kombu and shitakes and then drain lentils. 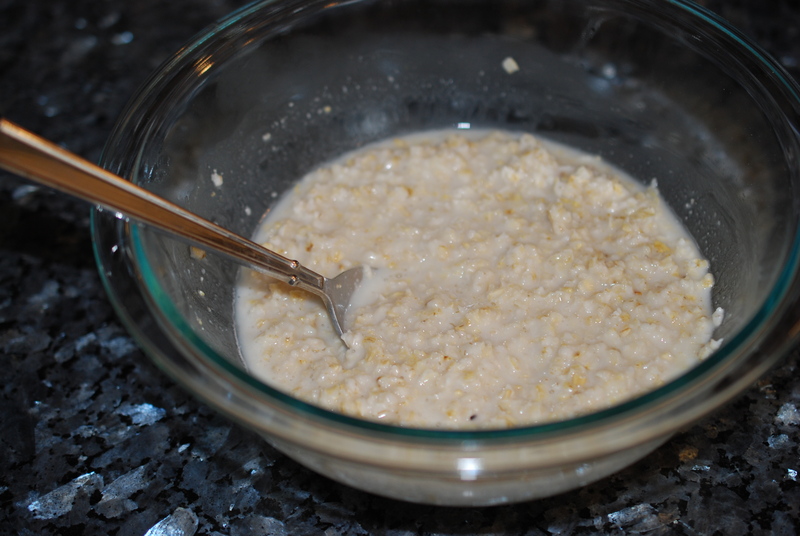 In a glass bowl, combine oats with 1 1/3 c water and microwave on high for a minute and a half. Set aside. 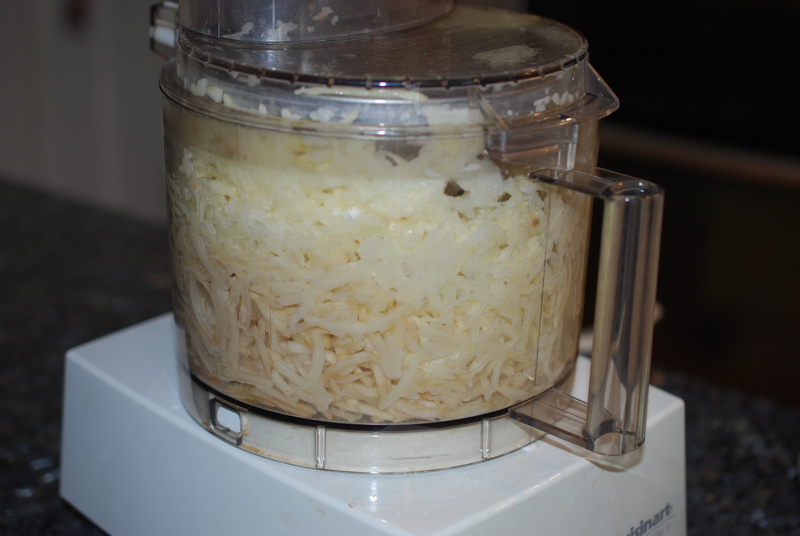 Grate potatoes and onion together (onion will help potatoes from turning brown) in a food processor or by hand. 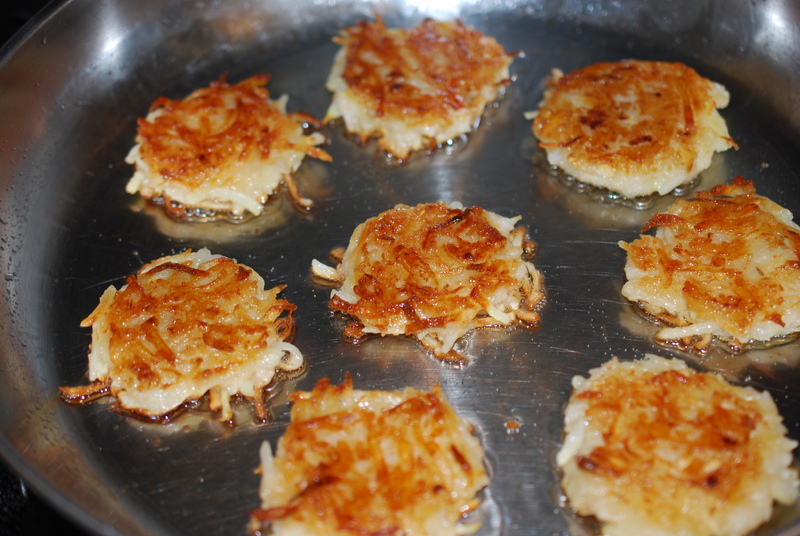 In a large bowl, combine grated potatoes and onion with bread crumbs, salt, onion powder and oatmeal. Heat oil in pan over medium high heat. 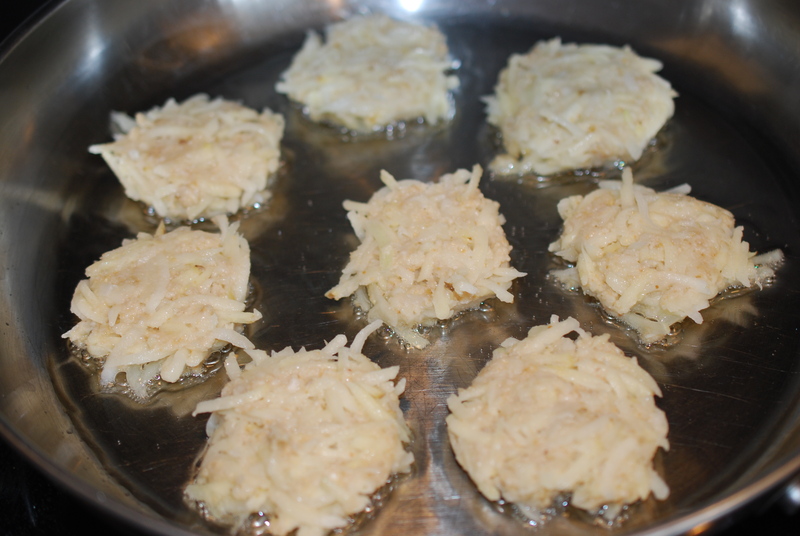 Form mix into small circles and cook in oil until browned on both sides, about 3 minutes per side. If the mix gets too liquidy, you can add more bread crumbs as you go along. 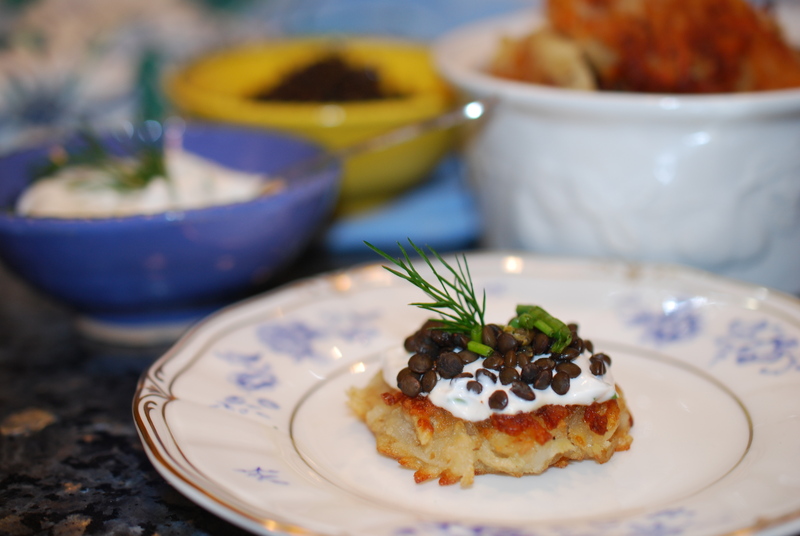 To serve – place a teaspoon of cream on each cake and place a teaspoon of caviar over the cream. 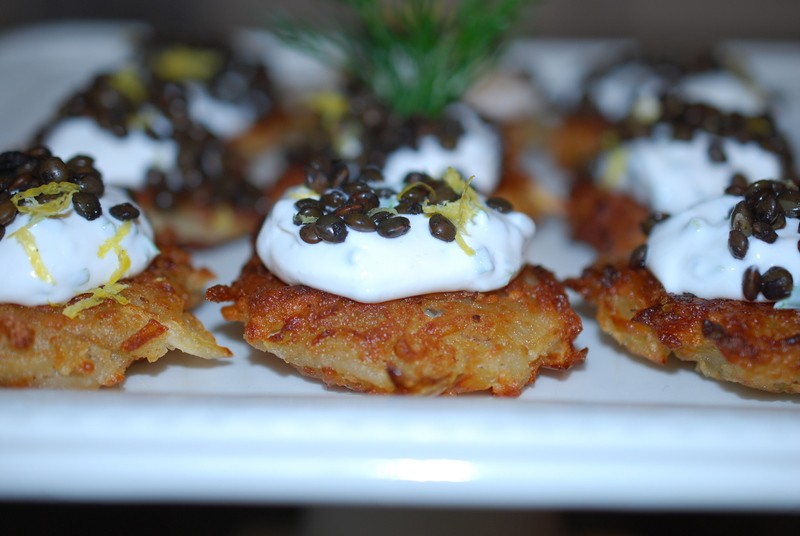 Garnish with your choice of chopped dill, lemon zest, chives, parsley, cilantro, fried sage, orange zest – just about anything you like! 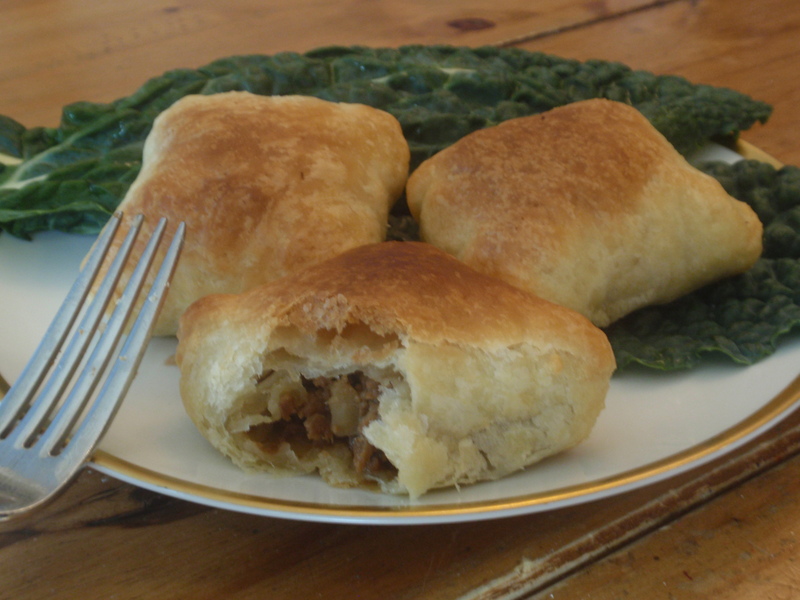 Defrost puff pastry at room temperature for 40 minutes. 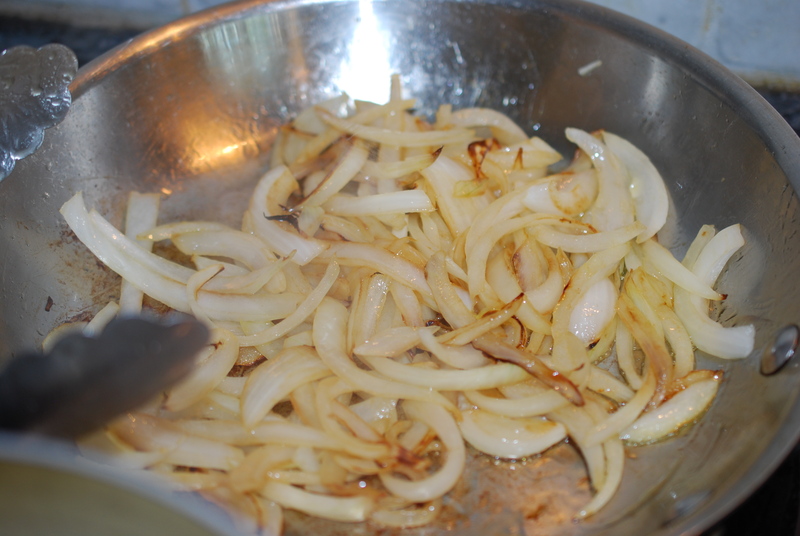 In a large skillet, saute onion and garlic in oil over medium high heat until translucent. Add water chestnuts and frozen crumbles and cook a few minutes more. Meanwhile, place the bouillon cube and broth in a small, glass bowl and microwave for 60 seconds. Stir well. Add the broth mix to the pan and cook, stirring, for 5 minutes more. Once the pastry is defrosted, roll out to thin a bit. Then cut into 2-3 inch squares. Place 1 T filling in the center of each square and fold the corners in to create a square puff shape. 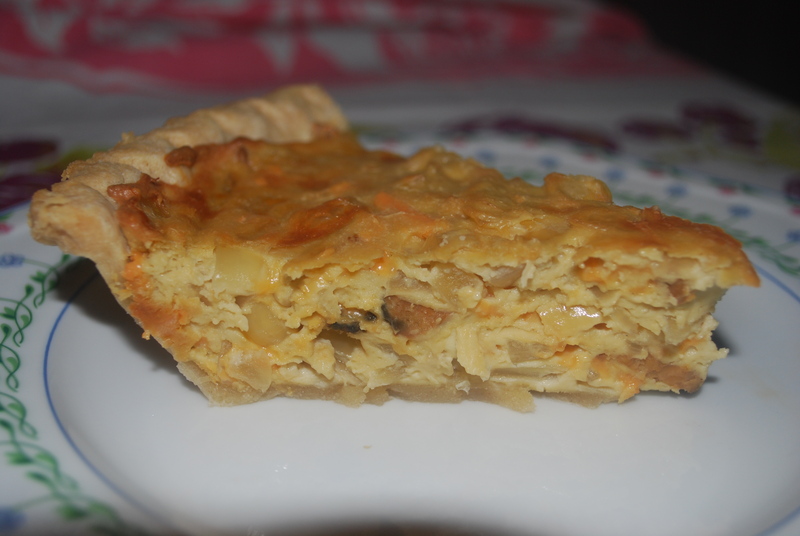 Place seam side down on a lightly sprayed baking sheet and bake for 15 minutes. Makes about 20 puffs.